Coach Mario Sanchez (SIUE Men’s Head Coach). The boys got to experience collegiate-level practices and gain a better appreciation of expectation levels for college players. 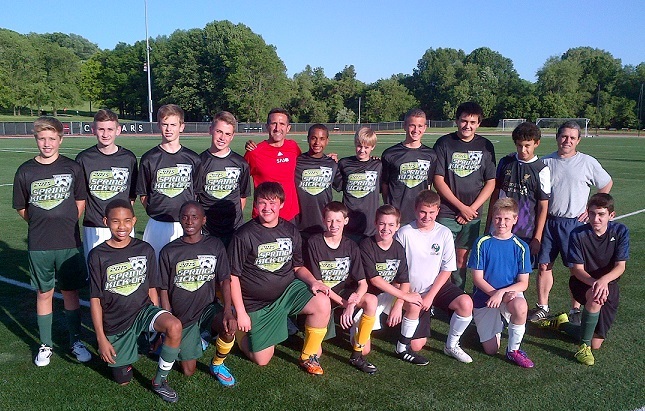 Pictured here are the U14B Galaxy Green and White teams with Coach Sanchez (center in red). Also pictured is Coach Dave Fernandez (far right side) who was conducting a training session with the boys when Coach Sanchez dropped in to check on the boys and meet Coach Fernandez.